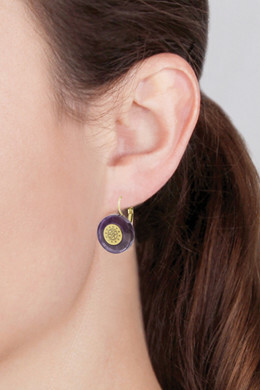 Cute, french hook earrings with a beautiful purple amethyst gemstone disc. The center of the earring is the DYRBERG/KERN watermark logo. 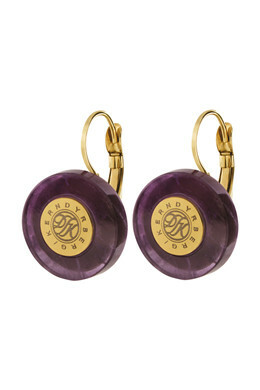 Shown here in a gold toned finish with purple semi-precious gemstone.